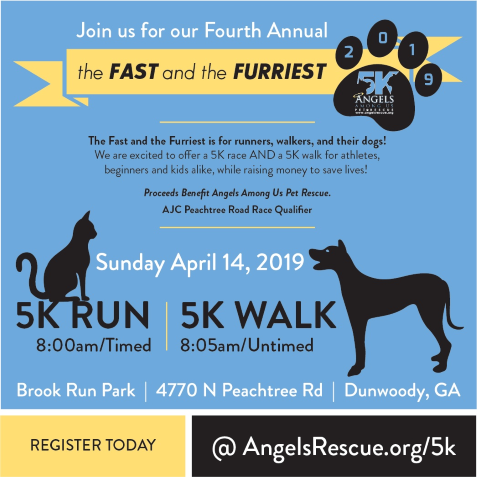 The 4th annual Fast and the Furriest 5K, benefiting Angels Among Us Pet Rescue, will be held at Brook Run Parky. The course starts and finishes at the large pavilion and stays on the paved trails the entire time. The Fast and the Furriest is for runners, walkers, and their dogs! 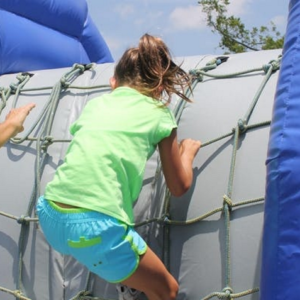 They are excited to offer a 5K race and a 5K walk for athletes, beginners and kids alike, while raising money to save lives! As a USATF certified 5k course (GA17020WC), this race is an AJC Peachtree Road Race qualifier. The course will have two aid & water stations along the route for runners, walkers and their dogs.